Stainless steel pressure gauge made of stainless steel is suitable for measurement of the pressure of many kinds of corrosive fluid mediums. Widely used in the industries like petroleum, chemical industry, metallurgy, power station. 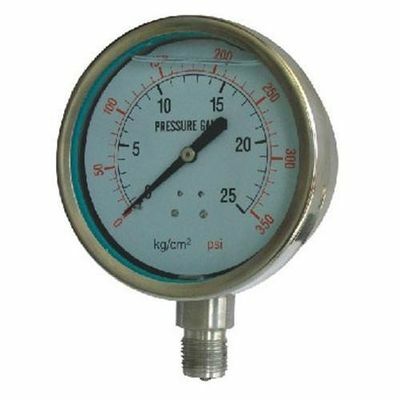 For the aggressive working environment where there exists severe vibration or sudden pulse, oil filled stainless steel pressure gauge is adopted. China Good Quality Cylinder Head Temperature Gauge, Exhaust Gas Temperature Gauge and Voltmeters And Ammeters International Trade Site.